Four Dimensional Hats: A Visual Wonder! The mobius strip is one of the simplest objects in the world, and yet, the most mind-bending. If you take a strip of paper, add a single twist, and tape the ends together, you transform a two-sided object into a single-sided object. It becomes one continuous surface. But did you know that you can take that idea a step further and end up with this? This is a Klein bottle, an object with one continuous surface. If you trace a path along the surface, you will traverse from the “inside” to the “outside” and back again without breaking stride. Yes, the word “bottle” is a bit of a misnomer, since this won’t actually hold any liquids; they would just flow along the surface, going “inside” and back “out” without pooling anywhere. This is a result of a mistranslation, as the German word “flache” (surface) was translated as “flasche” (bottle). Thought the Mobius Loop was divine. 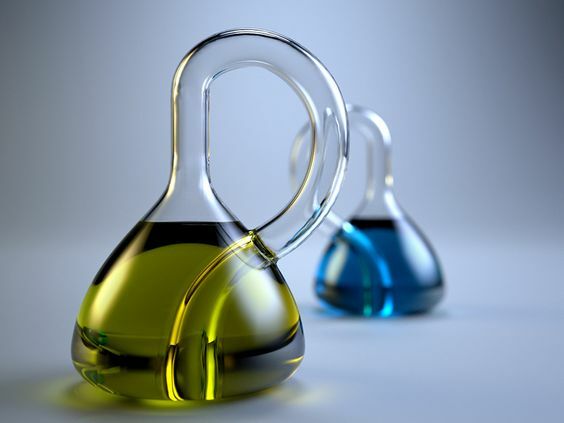 Although the Klein bottle can’t quite exist as a three-dimensional object — since the object has to pass through itself, which can only happen in four dimensions — we can come close enough to create some impressive approximations, like the glass “Klein bottles” pictured above. Although it’s not an optical illusion, it’s still a visual puzzle for the eyes and the mind, one that has captured the imaginations of mathematicians, artists, and many others throughout the years. It’s Follow-Up Friday: Blind Spot edition! And today I’d like to return to the subject of optical illusions. We’ve discussed optical illusions many times in the past, covering everything from the Necker Cube to the Dress, but today’s illusion is a little bit different. The 12-dot optical illusion pictured above, also known as a Hermann grid, has been making the rounds lately, and although many puzzlers have accused people of using a video or an animated gif instead of a simple picture, that’s simply not true. This is a static picture, but our eyes are not designed to capture 12 dots in view at once, so the others vanish when you focus on one dot in particular. And the folks at ASAP Science have an explanation for this phenomenon! As it turns out, this illusion and others involve both how your brain processes visual information and how the natural structure of your eye creates a blind spot that some optical illusions exploit. So next time someone shares one of these optical illusions, you’ll be ready to explain how they work and show off your puzzly knowledge. It’s Follow-Up Friday: Carpet Conundrum edition! And in today’s post, I’d like to return to the subject of visual puzzles. We’re keeping it simple today. 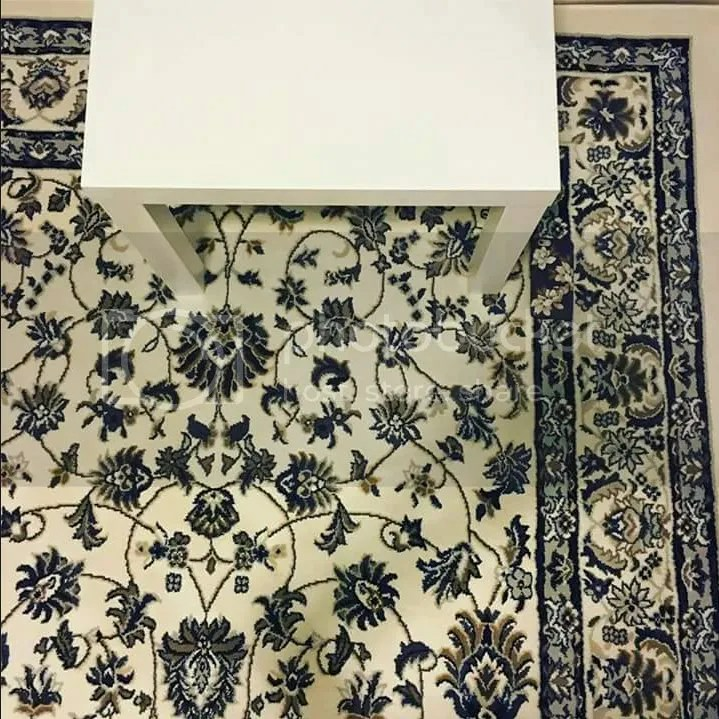 In this photo that’s been making the rounds on Facebook and Reddit, can you find the iPhone? Let us know if you spotted it! It’s tougher than you might think!